Shangri-La in Cuba you ask? Well, why not. Shangri-La is described by James Hilton, the author of 1933 novel, Lost Horizon, as “a mystical, harmonious valley”. It is depicted in the movie by the same name as a place in many ways comparable to the Eden of the Bible, a place of permanent happiness in which the fertile soil, the kindness of the people and the beauty of the land, creates an environment of peace and contentment. The Valley De Vinales seems to be such a place. Only 51 square miles, it is located in the Pinar del Rio Province of Cuba. The Valley has been recognized as a UNESCO Heritage site since 1999 for its combination of “karst”  landscape, in conjunction with its rich culture of architecture, crafts, music and traditional agricultural methods. 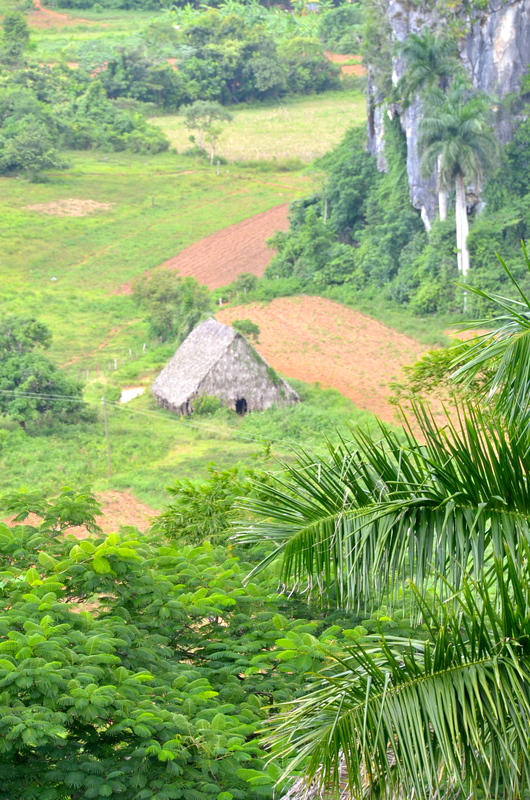 The valley’s rich soil and temperate climate make it a breadbasket of Cuba. Traditional farming, relying heavily on use of oxen, enhances the romantic image of the area. But tobacco is king in the valley, as a result of the combination of rich soil and temperate climate touted as producing the finest quality of tobacco. While food crops are traditionally cultivated, tobacco farming combines traditional methods with more modern farming techniques. 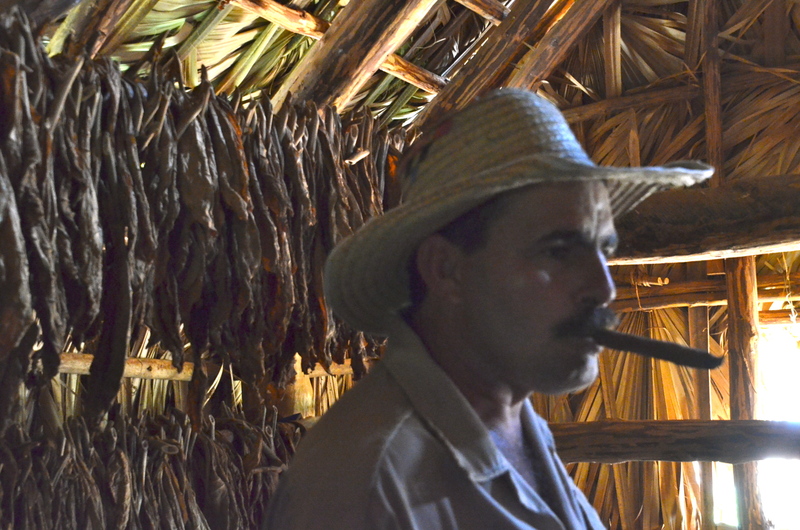 After the harvest of the tobacco, the leaves are dried in specially constructed barns before being sent to cigar factories in nearby Vinales. The thatched barns in which the tobacco is dried are both practical and graceful. 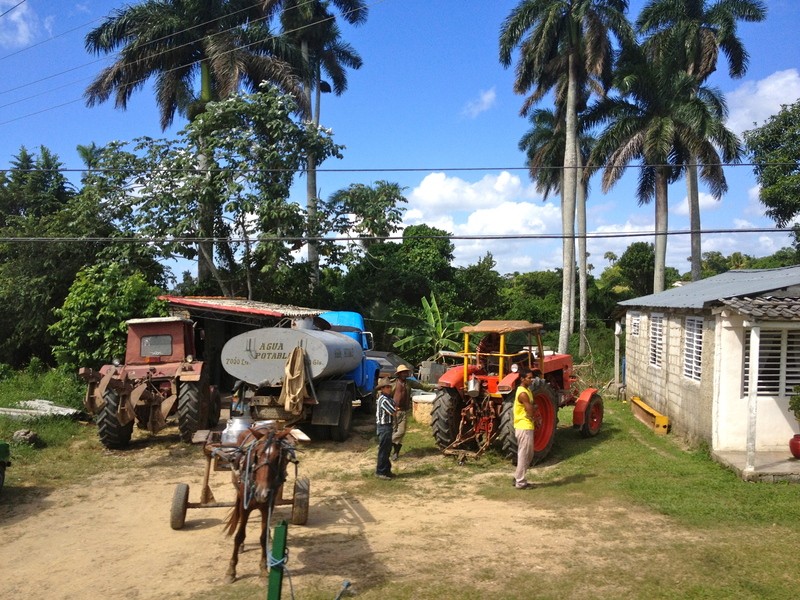 The owner of the tobacco plantation we visited could be the model for the Juan Valdez coffee ads. 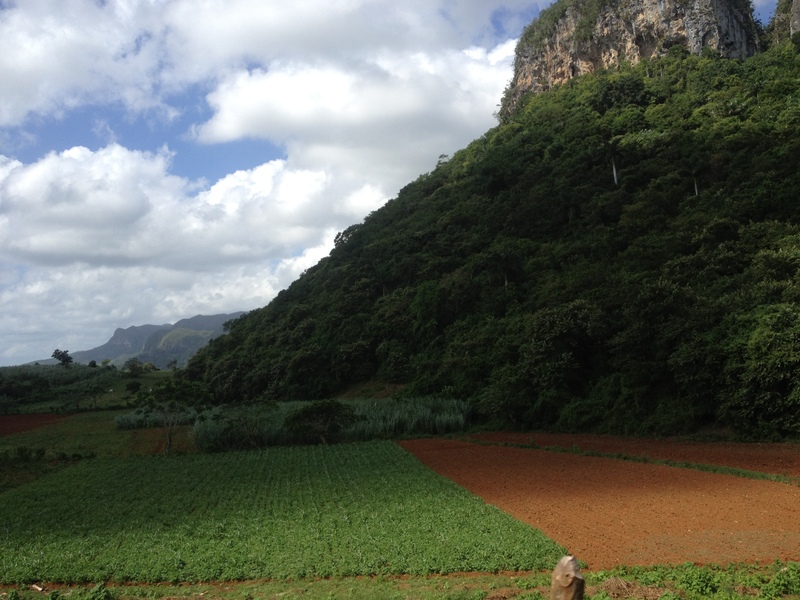 While in many ways a blessing for Cuba, it was tobacco that expanded slavery in Vinales. 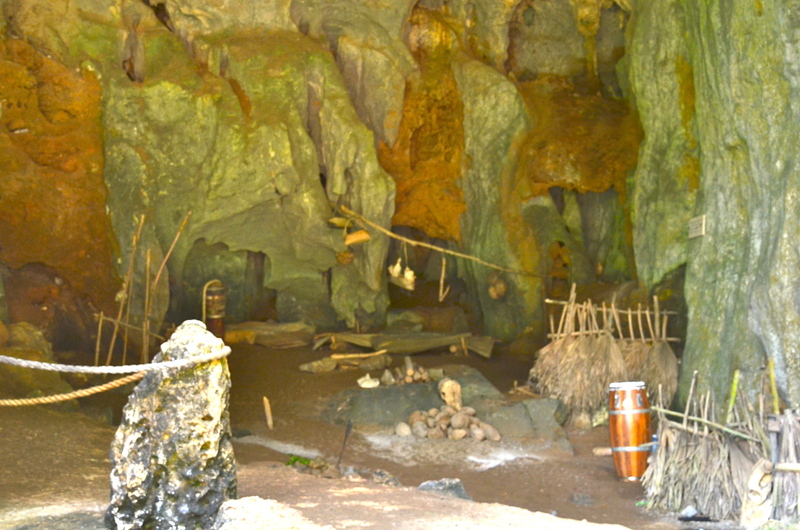 But Vinales was both curse and blessing, for it was the mountains surrounding the valley that became a home for runaway slaves, who were able to live for extended periods of time in the caves that stretch throughout these mountains. The descendants of those slaves thrive today in this rich multi-ethnic culture. The beauty of the valley and the mountains that surround it are not to be soon forgotten. 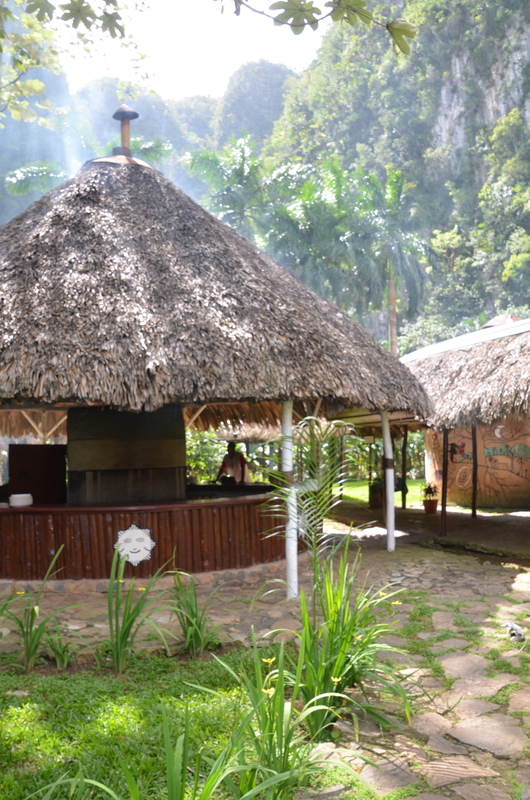 The Vinales National Park located in the valley helps preserve the historical value of the area. While tourism has expanded throughout the valley, tourist areas fit into and, in some ways enhance, the natural beauty of the valley. Karst is a special type of landscape that essentially identifies a “sinkhole” or sunken area of land. Karst typically is in an area of soluble rock such as limestone. The low mountains in the valley are quite fragile, as a result of the erosion of the structure of the mountains by rain and weather, leaving the caves that are described above. It is this same fragility that causes the depression in the land. Even the UNESCO description of the basis for declaring the Valle de Vinales evokes the image of shangra-la! 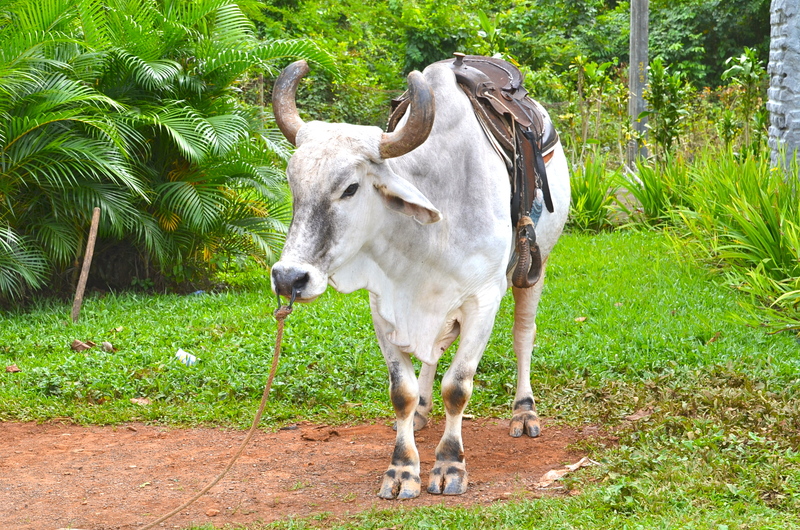 This entry was posted in Photography, Travel & Adventure and tagged Cuba, Pinar del Rio Province, Shangri-La, Slavery, Tobacco, UNESCO Heritage Site, Valle De Vinales, Vinales Valley. Bookmark the permalink. Fascinating. I had forgotten about the famous, highly desired Cuban cigars. Thank you for this interesting history, cultural, agricultural and geographical lesson, and the pictures are beautiful. Since we aren’t smokers, Terry and I focused on the beauty of the area, but it was lots of fun to see how tobacco is grown and cigars are rolled. Thanks for this comment. I normally delete comments that are clearly focused on advertising a product. But the historic information in your comment is too interesting to ignore. Thanks.